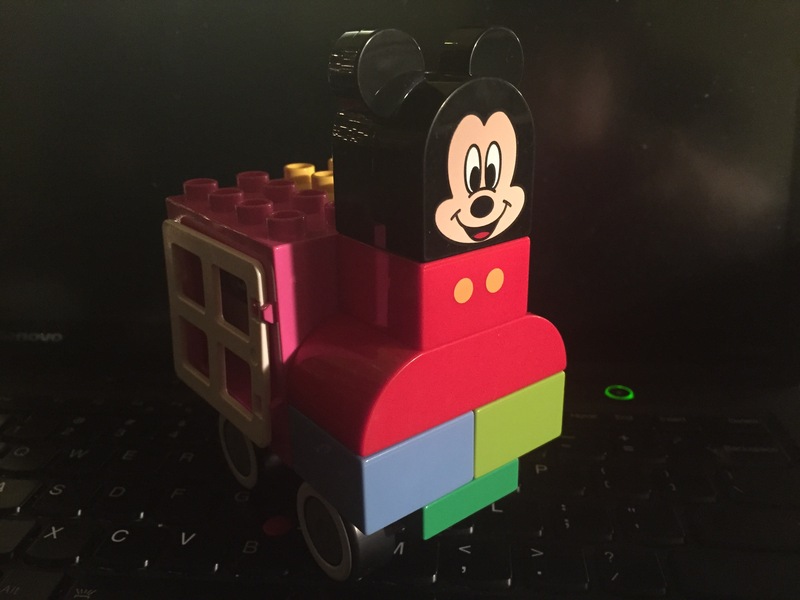 T. – Age 3.5 is becoming a Lego Duplo Junkie. 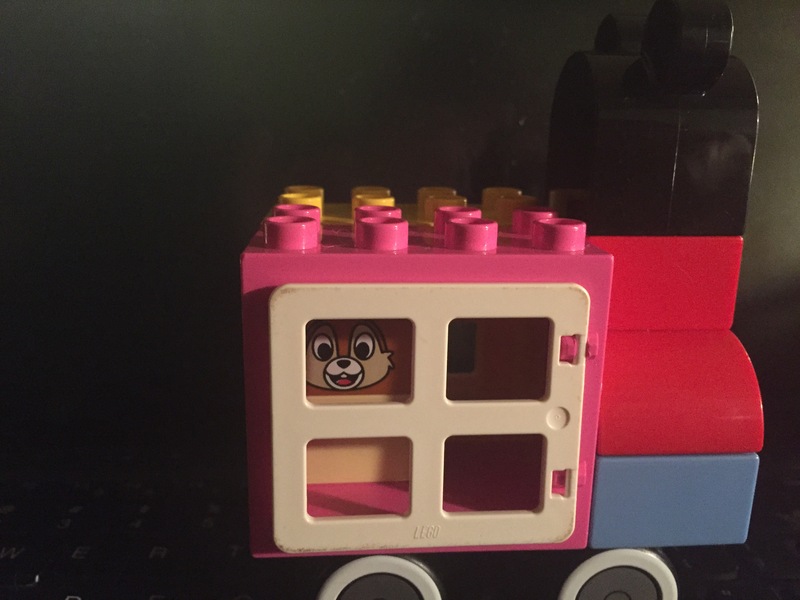 He makes ships and cars and most recently something he calls a “Mickey Train,” complete with Dale the Chipmunk inside. This is cool and all, but I nearly went down the stairs on a Mickey Lego head and had an unfortunate encounter with Lego Donald that cannot be discussed in polite company. I fully anticipate an awkward at best ER visit in my near future! I’m sorry that happened. Great photos! It’s awfully cute!